Dr. Davis’ latest book entitled: Life after Death: An Analysis of the Evidence, provides the latest experimental evidence and scientific based theories, anecdotal accounts of experiencing an alternate realm of existence after clinical “death,” and communication with the deceased. This book will give you an appreciation of the possibility of an afterlife. The concept of life after death is addressed through an objective evidence-based analysis of the consciousness-brain connection, reincarnation, near-death and out-of- body experiences, mediumship, apparitions, and quantum physics. Ever since we stopped crawling out of the primordial soup and evolved into inquisitive and inventive complex language based bipedal primates, people have wondered if upon death we diminish into a void of nonexistence, persist in an alternate realm of existence, or revive in a cycle of reincarnation. This thought provoking book may provide the answer. After all, one day your brain will cease to function and you will become a nonentity. Or will you? We all have questioned, at least once in our life, what happens when the hard drive crashes and the screen fades to black. Is death really the grand finale? Find out. Should you believe in UFOs (unidentified flying objects)? If you question why the subject of UFOs should be taken seriously, this book provides that answer. 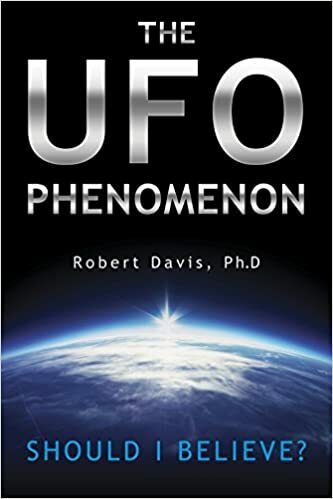 Fascinating evidence, new perspectives, and detailed analysis, make this a thought-provoking study for those at every level of knowledge and belief in the UFO phenomenon. Through well-researched and convincing, documented insight, discover compelling individual and mass UFO encounters, giving you a direct appreciation of the possible nature and origin of this extraordinary topic. Learn about pilot and astronaut UFO experiences, strange encounters with UFOs, alien abductions, official government and military declassified UFO documents, and future directions and research needed to better understand the phenomenon. New viewpoints are provided through an objective investigation of the alleged alien visitations of earth and authenticity of the UFO phenomenon. Should you believe? Find out. Also make sure to check out our publisher Schiffer Publishing.